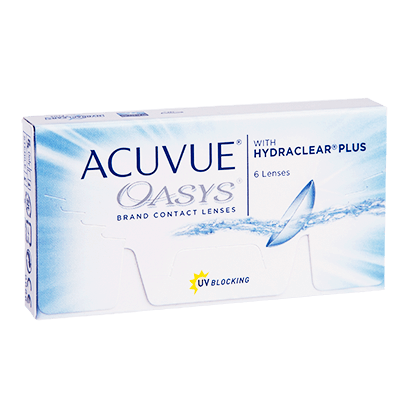 Acuvue Oyasys lenses are a product of Johnson & Johnson, delivering crisp and clear vision, without compromising on comfort. These two weekly contact lenses have been specifically designed to focus on wearer’s eye, making lens wearing easier and a hassle-free experience. 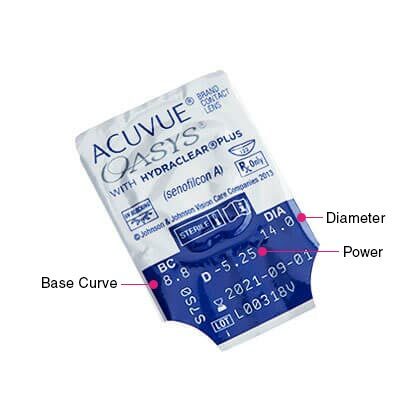 Hydraclear Plus technology is used to create Acuvue Oasys, which ensures that the lenses are smooth, hydrated and comfortable over the course of the day. Silicone hydrogel is used in the creation of lenses to ensure that your eyes receive an adequate supply of oxygen. This amazing technology helps the lenses work effectively to prevent eyes from drying. These lenses are the perfect choice for working professionals using digital screens, or anyone with dry eyes. 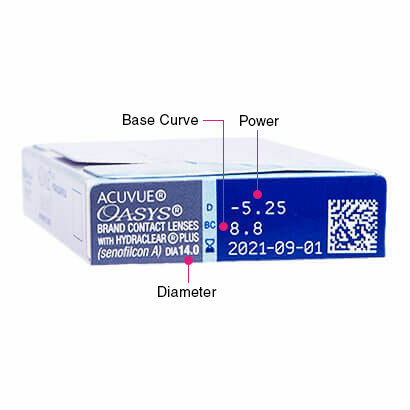 Acuvue Oyasys are designed to match your lifestyle, providing you a stable and convenient option for visual correction. These two weekly lenses also offer the option of extended wear, which means you can wear them all day and night for as long as a whole week, without needing to remove them. This wearing schedule is best suited for travelers, or those working long hours. However, it is first advised to contact your optician to make sure that extended wear is suitable for your eyes. To maintain the hygiene and quality of your lenses, it is advised to remove, clean and store your contact lenses in solution. We stock a wide range of lens solution for cleaning and storing your lenses, including Renu Fresh Multipurpose solution. 1 Day Acuvue Moist is recommended as a daily disposable alternative to Acuvue Oasys.